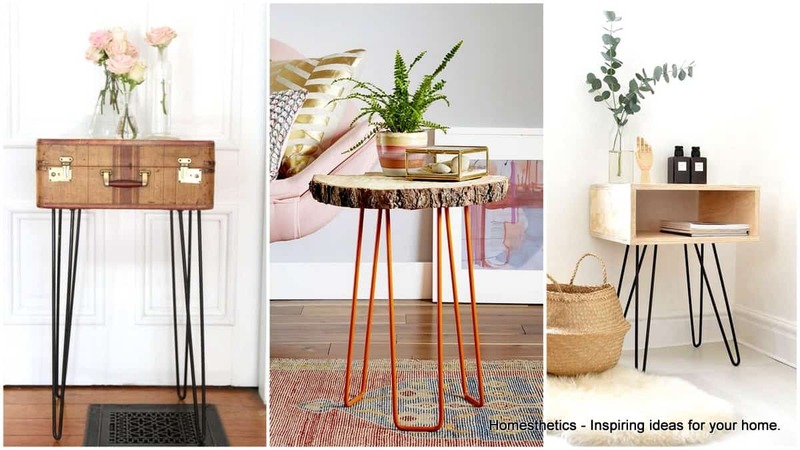 3 of the Best Hairpin Legs for Table, Desk and Dining Table Today | Homesthetics - Inspiring ideas for your home. Hairpin legs are a distinctive addition to any table, hairpin legs for tables, hairpin tables for desks and last but not least hairpin legs for dinning tables are infamous for all the right reasons. Whether the table’s a study desk, an artist’s desk or used in the kitchen, hairpin legs can change the look and feel of the entire room and in some cases, the entire area the table is placed at. The classic ‘40s neo-classical aesthetic is sure to transform the aura of any room, regardless of where you keep the table. However, with a wide variety of styles, lengths and diameters to choose from, choosing which hairpin legs to get can become a confusing task. 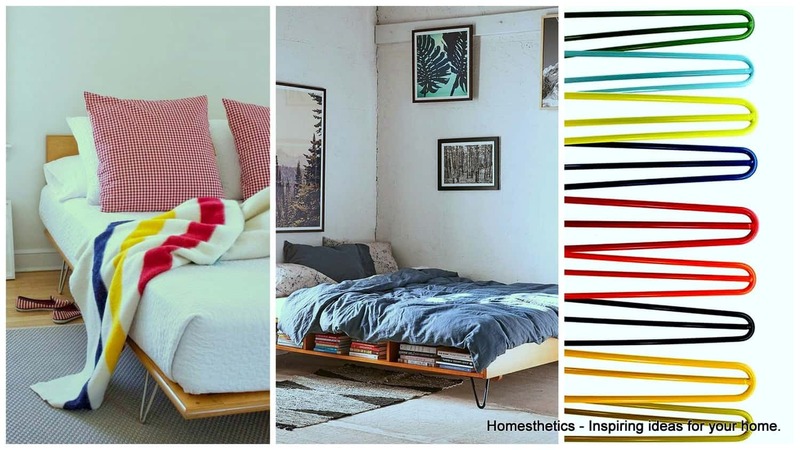 Here, we’ll start off with three of the best hairpin leg designs on the market today, followed by a guide to let you decide which hairpin legs are best for your particular table [or tables]. If you`ve found the hairpin legs for table, hairpin legs for desk, hairpin legs for dinning table below interesting we invite you to check various other articles on the subject, we have curated lists of the best hairpin legs for bed , hairpin legs for nightstands, hairpin legs for side-table and last but not least hairpin legs for end table; below we also list a couple idea guides that showcase hairpin option as a solution for the task at hand. So, without further ado, let’s start off with the best hairpin leg designs available! 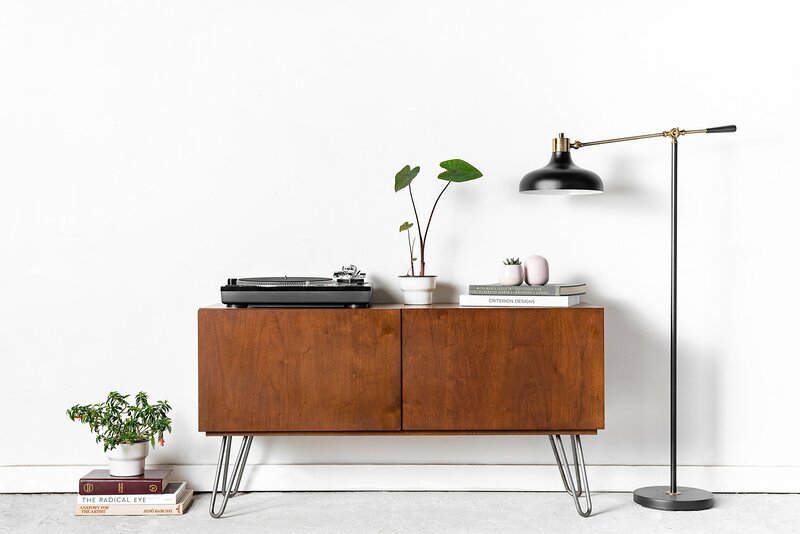 Mid-Century Modern Style – 4″ To 34″ by the Hairpin Leg Co.
1. 1/2” or 3/8” hairpin leg width – which is best for me? 2. How many rods do I need? 3. Is coating on the hairpin leg necessary? Which coating should I go for? 4. 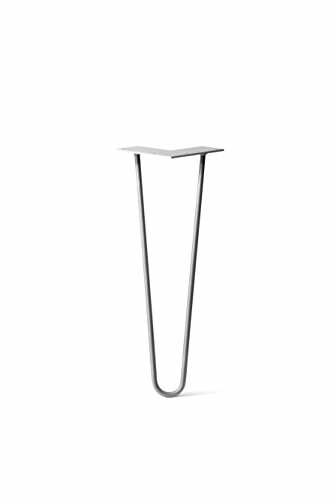 What is the height of hairpin legs I might need for my table? 5. Which other factors do I need to look out for? The table offers different designs for a variety of applications. The double weld construction with superior quality material is sure to keep your table steady for a long time. It ships with screws, a handy build guide and protector feet for the hairpins. With lengths from 4 inches to 40 inches depending on the kind of application, the sizes are flexible enough for any table. This is one of the newer products on the market, but the manner in which it radically changes the look of the room is remarkable. Depending on your application, you could go in for the coffee table variant, the variant meant for benches, or low coffee tables. You could also go in for counter-top hairpin legs or if you’re looking to spruce up beds or cupboards, you could also have the furniture variant. The sheer amount of variety in terms of sizes and colors is unmatched. In terms of colors, there are 12 radically different shades available, based on your particular requirement. The width is available in a single 3/8 inch variant. With a 60 day money-back guarantee on offer too, there is very little to fault with these hairpin legs – except that they cannot deal with heavy loads. You can also choose between 2-leg and 3-leg designs! 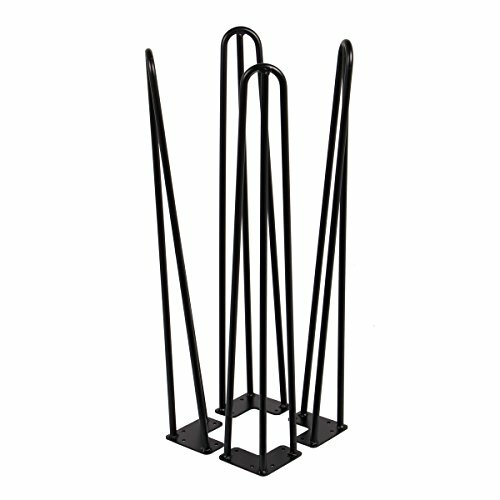 This wonderful set of hairpin legs is sure to go well with any table one can think of. With a number of design combinations (think sizes, colors and lengths), you can pick your own unique design. Besides the fact that these hairpin legs cannot bear more than 130 lbs at once – and you get only four leg sets, there’s little to fault in the construction, durability or design. A resounding yes from the reviewers for these hairpin legs! This is a unique, heavy duty addition to the recommendations. Unlike other sellers, DIY Hairpin Legs are offering single hairpin legs for order – meaning you can order as many or as few as you’d like depending upon your specifications. The metal finish and lifetime guarantee give it another edge here. Coming to this particular hairpin leg, you get a lot of flexibility as in the previous model. Here, though, you get to call the shots over how much weight you want to put on the legs, since this comes with an option of heavier-duty 1/2 inch legs, besides the usual 3/8 inch legs. The cold rolled steel process gives these legs a sense of sturdiness and security. Another benefit is that with each order of four legs at a time, you also get a maintenance kit directly from the seller. These are available in a 2-rod design only. The length is fixed at a cool 16 inches, which is useful enough for most applications. The welds are extra strong, which means these legs will require much lesser maintenance over time since most legs fail right at the welds (it’s their Achilles heel, so to speak). A brilliant addition to any household or industrial use, except for the lack of variety in colors. This set of legs is unlikely to fail you at any time. Sturdiness, strength and long term reliability are its strong suits. The modern steel finish goes with a number of designs as well. The flexibility in the width allows you to go for household or industrial use depending on your needs. If you’re looking for a minimalist hairpin leg set which will last long without much fuss, this should be high up on your list of choices. This set of legs is meant to be used in more heavy-duty applications, such as restaurants, industrial tables, or office tables which face a lot of load – this can accommodate up to 350 lbs at once. These come in sets of four, and are available in a modern looking black color. These legs can be had in a 3-rod design – which gives it an extra sense of weight handling strength. These legs offer you an unmatched peace of mind, given their construction. Rest assured, these legs are sturdy enough for the most demanding of weights, and with 16 inch and 28 inch designs on offer, you can choose which one to go for. Further, the black color goes well with most table designs, especially in lighter rooms or rooms which need some contrast to go with the lighting. Besides the fit and finish, it comes with pre-drilled holes for maximum convenience. The logic behind this is that tables come in a variety of sizes, and the positioning of the legs for each table will vary. Hence, you will have to do the labor of ordering the screws extra. 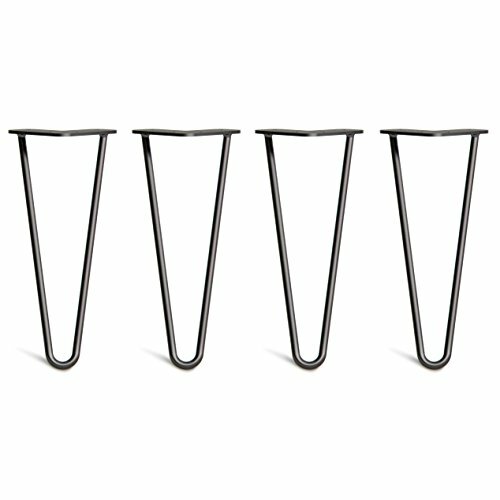 These hairpin legs are perfect for writing, drawing, and typing – all of which exert some force on the table. The table is unlikely to wobble in any of these circumstances. All in all, for heavier use, this is our pick. Though not for everyone with the black powder coat, for those who need peace of mind with any major weight that they’ll need to put on the table – these legs are second to none. The triple rod design ensures extra stability and minimal wobble. Further, the 1/2” diameter is perfect for a writing table, or even a restaurant table. This sums up the three best offerings on the market, all with their own pros and cons. Now, coming to the harder part – how do you choose which hairpin legs you need? Fret not, here we give you a handy set of questions which will help you determine the major aspects of the hairpin legs you will be needing – the width, the coating, the number of rods, and the height of the hairpin leg. There are other factors to consider too – read up and find out! There is a straightforward answer to this – 1/2” is for loads over 200lbs, while 3/8” caters to tables which won’t be facing loads over 150lbs. If you are looking for office tables, study tables or any application which has considerable weight on it, go for 1/2” – don’t take the risk, since the table could budge or collapse in case you pick 3/8”. It might not be apparent from the design, but the load a hairpin leg can sustained only depends on the width and height of the leg. 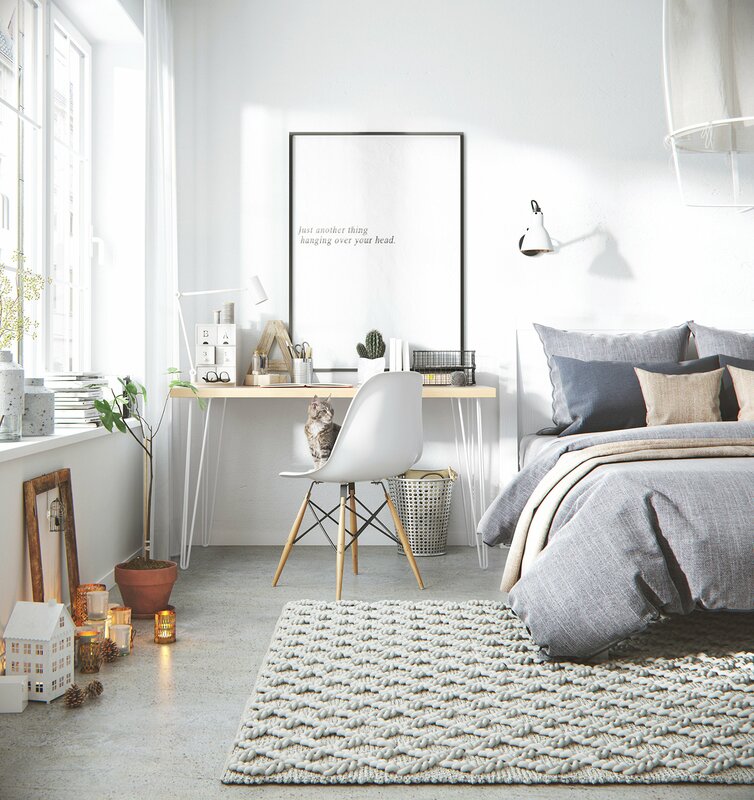 The number of rods in the leg you should have is purely an aesthetic consideration – go with the one which goes better with your room! Generally, if you’re going for a minimalist design, you should go in for 2 rods. 3 rods are more suitable for complex room designs, and complement the other accessories you might be having in the room. An uncoated hairpin leg which comes in copper or steel may look better, but the fact remains – rust will start to corrode the surface of the leg in a short while. If you live in areas with medium to high humidity, a powder coating is essential to prevent rust from settling on the legs. Rust can take away much of the usable life of your table’s hairpin legs, hence you should take utmost care in this regard. 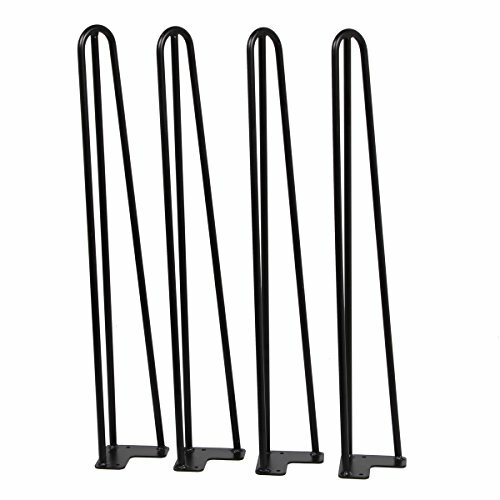 Generally, hairpin legs come with powder coating which can protect your hairpin legs from damage by the elements. For those looking for pure copper or steel designs, clear powder coating is also available, which gives you long term reliability and the finish of your choice. If you’re bent on getting steel hairpin legs, galvanised steel is also available on some designs. 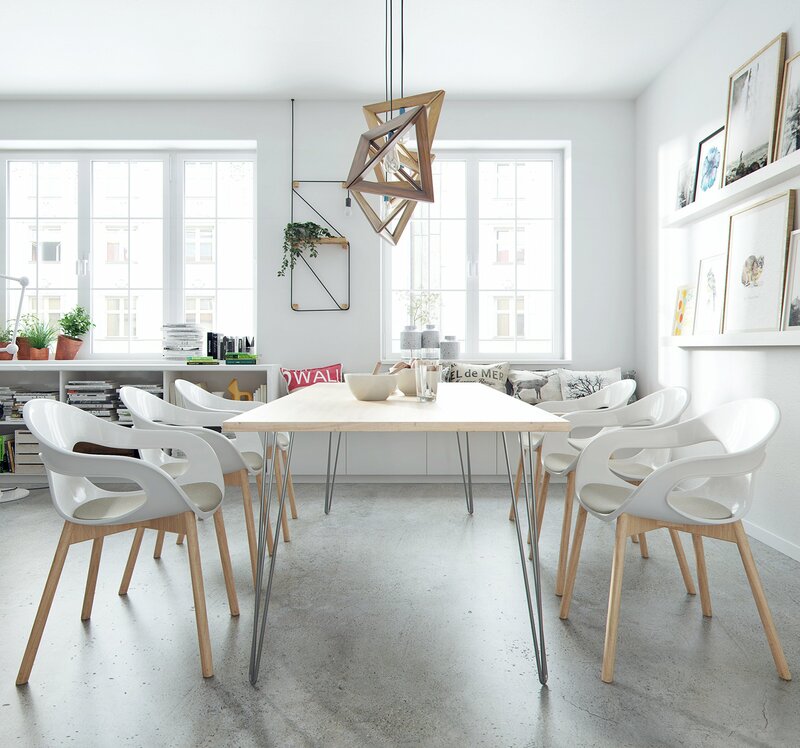 This is another subjective issue, since it squarely depends on your expectation of how the table should look like in isolation, as well as how it matches with other stylistic elements in the room. For coffee tables, one can go with anything from 4 inches to 16 inches, whereas cupboards and shelves should generally stay within 6 inches. Counter-tops can go up to 28 inches, with the minimum being 12 inches generally. Benches are also not meant to go too high up. You should also consider how long you intend to keep the table, which can affect which finish you go for. Further, the warranty is an important factor to consider too, since hairpin legs are prone to rust. 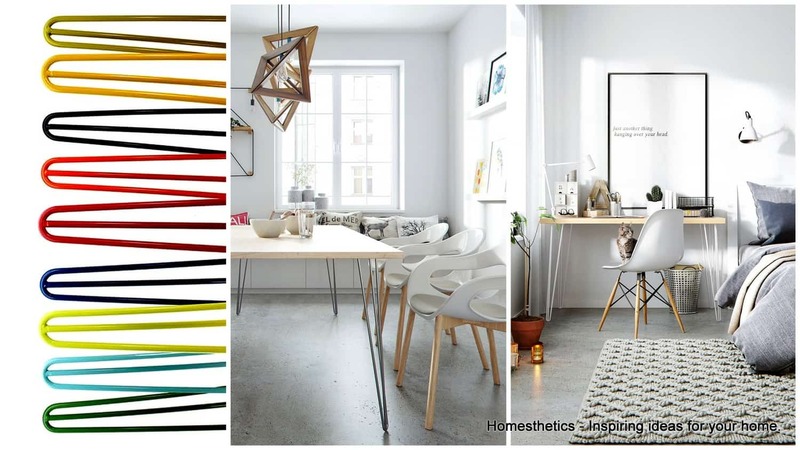 It is wise to further consider whether the overall design (and not just the number of rods) of the hairpin leg goes well with the ambience of your room. A few other factors which also should be taken into account are the dimensions of the mounting plate and the location of the holes where the screws should go into. Predrilled holes are great, however, make sure you know their diameter beforehand and don’t end up getting different sized screws. A tip here would be to get one size lower screws and upper ones too, since you’ll save time in finding out the exact measurements. In case these questions are still leaving you confused over the plethora of choices on the market, fret not! You can go in for any of the three reviewed hairpin legs, each of which come with their distinctive features and designs. These products have been carefully selected from a wide variety, and you’re unlikely to go wrong with any of them. And now, you also know the factors you need to consider before going in for the hairpin leg of your choice. These facts will go a long way in making sure you have the best, and longest experience possible with the hairpin legs you end up choosing.